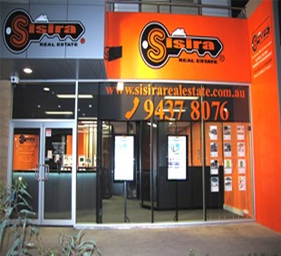 Founder Sisira Malawaraarachchi migrated to Australia in 1988 from Srilanka and has twenty years of business experience. Being in the industry as a Senior Sales Executive with Raine & Horne Real Estate Roxburgh Park, the vision he had come to fruition as he opened his first real estate office in the suburb of South Morang. Hema possesses extensive experience in customer service, customer relations, marketing and sales. He holds a Bachelor of Business Administration and Master of Accounting from La Trobe University and University of Queensland. After having worked with a couple of reputed organizations, including a multinational company, Hema decided to get into the real estate industry for two main reasons. Firstly; to make the most of his experience, especially relating to the ability to deal exceptionally well with customers from diverse cultural and linguistic backgrounds and secondly; to provide well personalized, trustworthy and timely service for those who expect better results in selling, buying or leasing properties. Hema’s extraordinary ability to understand the specific needs of each customer relatively in a short time and his well developed ability to provide correct information timely, in a form that makes immediate sense, were always highly appreciated by the customers, who have received his exceptional customer service to fulfill their real estate dream as a seller, buyer or tenant. Customer referrals are testimony to Hema’s commitment to professionalism. After completing his higher studies in United Kingdom at Greenwich University (London), Rohan moved over to Australia and held a few major roles in top organisations such as Salmat (Data Analyst) and Origin Energy (Digital Solution Analyst). Rohan started his real estate career with Raine and Horne Business Brokers as a Business Sales Consultant and is now ready to bring all the expertise, knowledge and passion to assist and deliver the best outcomes and leave a smile on the faces of both sellers and purchasers alike. With his friendly personality and easy approach, Rohan enjoys helping people by bringing all parties to a common ground and making the right choices that work for everybody in every situation at all times. In his current and previous employers'' reviews Rohan has been repetitively praised for his exemplary people skills, attention to detail, strive for first contact resolution, and for getting things done in an effective and timely manner.